Since 1984, we have been in the fashion retail scene with an ambition to be a cultural, creative space infused with our idea of lifestyles and trends within fashion. We present collections of designers, both emerging and established talents mainly from Japan. Made for delightful occasions and new encounters, our store is curated with a vision of ‘honesty’ in fashion which we would like to share with our audience. 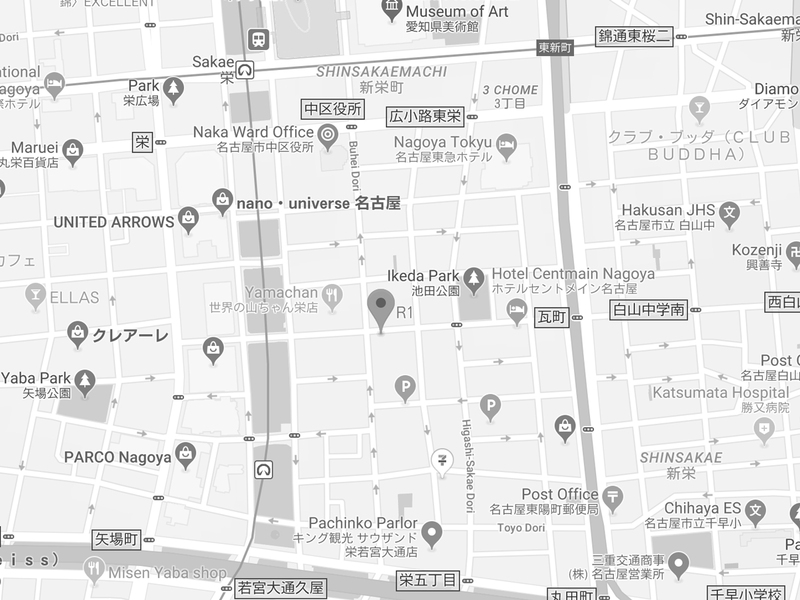 R1 is situated in Sakae. A shopping destination sitting in the heart of Nagoya. Pop in when you are around and we look forward to welcoming you. If you need English assistance for your visit or online purchase, please contact our bilingual staff here.here.